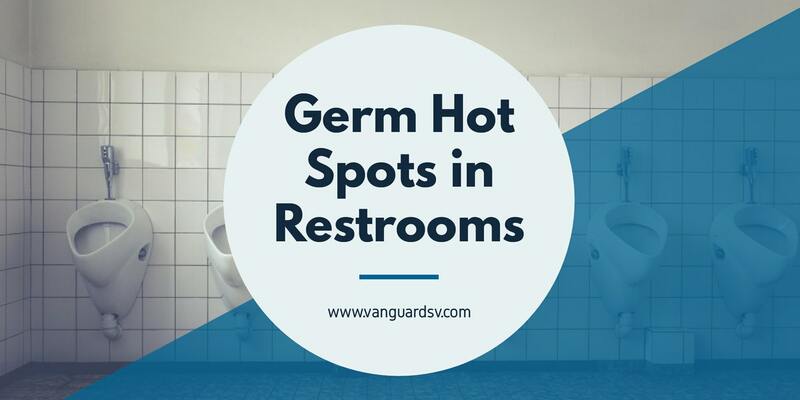 Restrooms are teeming with germ hot spots that can make us and everyone around us sick, but they're not always in the places that we suspect. [...] genetic traces of more than 77,000 distinct types of bacteria and viruses in these spaces. While, understandably, a person could expect the floors and toilets to be less than perfect, it turns out that the sink faucets, soap dispensers, and hand dryers are the real issue--with many testing positive for antibacterial resistant strains of dangerous bacteria. Fifty-two bacterial species were identified from the 55 investigated washrooms. Over 97% of the pathogenic Staphylococcus spp. tested were resistant to at least one first-line antimicrobial therapeutic agent, including penicillin, cefoxitin, erythromycin, co-trimoxazole, clindamycin and gentamicin, and 22.6% demonstrated co-resistance to at least three antimicrobial agents, with co-resistance to penicillin, erythromycin and clindamycin being the most common. Fortunately, there are several methods that can be employed by facilities maintenance personnel, custodians, and occupants to ensure that everyone may use the facility safely and without concern for their personal health. Due to issues with high-traffic and constant recontamination, restrooms typically rank at, or near, the top challenges for custodial and facilities maintenance managers. These challenges are due to the fact that, while regular cleaning and maintenance are expected to maintain the health and usability of the facility, it is just not possible to keep a facility 100 percent germ free, as studies have shown that, even absent occupancy and use, the surfaces will quickly recontaminate after disinfectant treatment. A chief contributing issue for restroom cleaning personnel and occupants is the design of the restroom facilities--the more contact they require, the more likely the facility is to acquire and spread germs. Occupancy sensors for light switches to automatically turn them on and off. Touchless sensors for sinks, soap, and paper towel dispensers. Foot openers on automatically closing doors. Most people would be surprised to discover that the toilet seat is not the most contaminated surface you're likely to come into contact within a public restroom--it's more likely the sink. It is a common misconception among many building occupants that the toilet seat would be the most contaminated surface in a restroom. But according to the findings, the toilet only measured 150 colony forming units (CFUs), whereas sinks measured 50,000 CFUs. Bring hand sanitizer with you and use it once you exit the facility--there is a varying degree of probability that your hands have more germs on them after washing, drying, and exiting a public restroom than prior to entry. Always wash your hands thoroughly with soap and water, but make sure to dry them completely--wet hands transfer germs more readily than dry ones. A high-performance cleaning and disinfection program is mandatory for maintaining the health and safe use of public restroom facilities. However, and perhaps unsurprisingly, the best maintained restrooms are the best designed restrooms, which translates into touchless fixtures across the whole facility. Combining the two will ensure a high level of occupant satisfaction with your organization, and consulting with a local provider experienced with implementation, design, and sanitation strategies is the fastest way to onboard your new initiative. If you would like to learn more about the advantages to outsourcing your school or businesses restroom cleaning and infection control and prevention measures, or the advantages to automated and monitored fixtures and facilities, contact us today for a free quote!